Johri, a village in Uttar Pradesh's Jat heartland Baghpat, is currently teeming with activity. 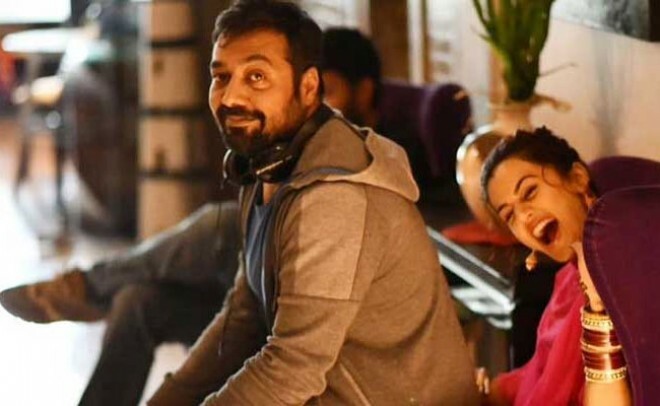 Producer Anurag Kashyap has landed there with actresses Taapsee Pannu and Bhumi Pednekar to shoot Saand Ki Aankh, a biopic on two iconic matriarchs of the village, Daadi Chandra and Daadi Prakashi. Taapsee says the locals have extended heartwarming hospitality to the crew. "The villagers throng the location in the wintry nights, not the least caring about the chill. They stand for hours silently staring at our shooting. The fact that a film is being made on the two most distinguished women of Johri gives them a sense of pride. Unlike Kashyap's other films, reveals Taapsee, Saand Ki Aankh is a happy film. "So I can take credit for changing Anurag's cinematic mood. "She concluded.